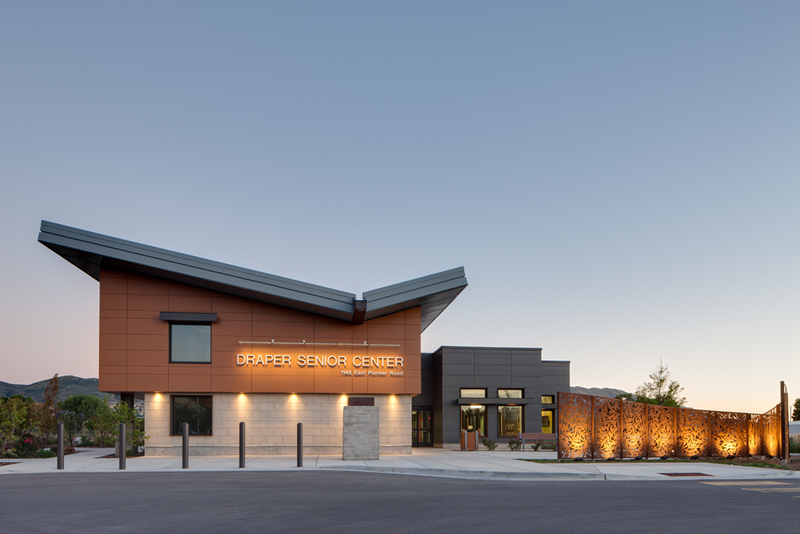 Upon its completion in 2012, the Draper Senior Center represented a paradigm shift in senior center design for Salt Lake County. 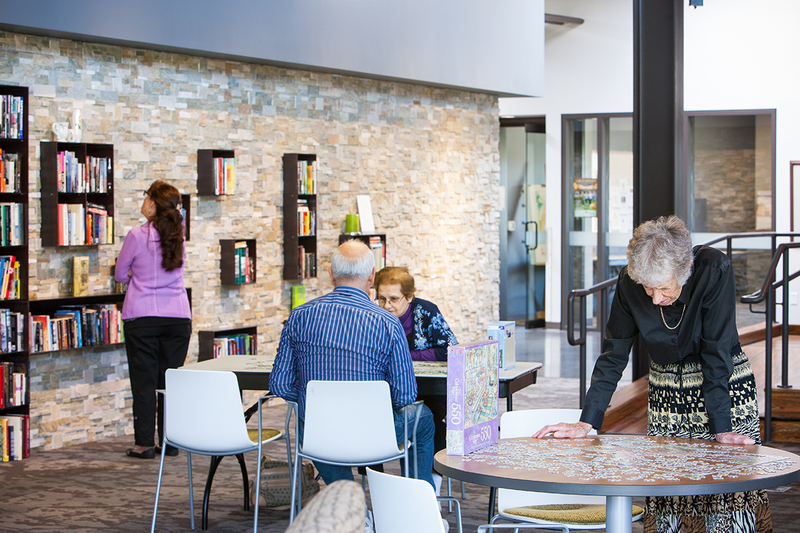 Drawing on modern hospitality design, the open, light-filled space creates an active, welcoming, and intergenerational environment to meet the needs of a new generation of seniors. 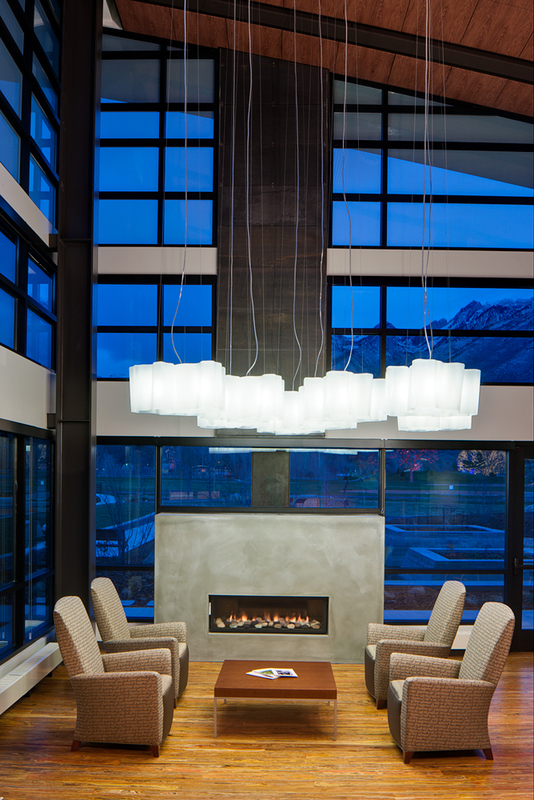 To create a strong connection to the outdoors, the design employs generous windows and skylights to spread natural light throughout the building. 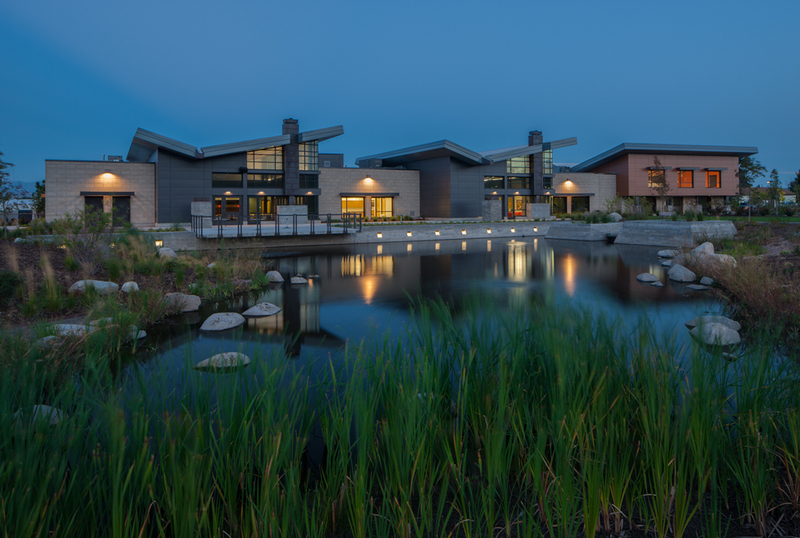 EDA took advantage of South Willow Creek running along the eastern boundary by diverting it to create a pond that enhances the natural character of the site. 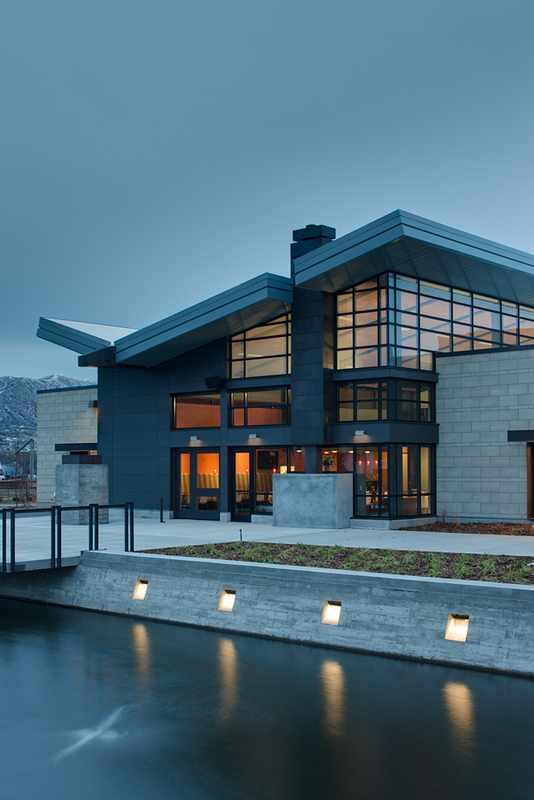 A LEED Gold certified building, the Draper Senior Center is co-located with Draper Library, and is sited in close proximity to Salt Lake’s TRAX light rail system. To compliment its context, the senior center’s massing was arranged so that the scale feels appropriate for a building much larger than some of its neighbors.